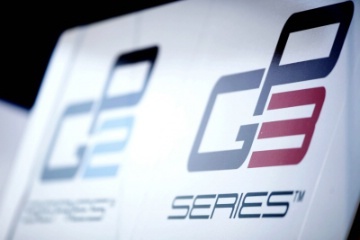 With the launch of the Sky F1 HD channel it brings all the action of Jr. series GP2 & GP3 to all the viewers so I thought I would take the chance to share with you some of the bright stars to keep a keen eye out on for the future. They are all young drivers aspiring to make there way into Formula 1 in the near future. Esteban is a 20 year old Mexican driver who has thrived in all the lower formulas he has entered impressing everyone with his outstanding racing mind and mightily quick ability in all types of car . Esteban has competed in many formulas winning the inaugural GP3 series in 2010 & also winning - two years earlier in 2008 - the Formula BMW series. Gutierrez started his racing career in 2004 competing in the Mexican Rotax Max Challenge racing in the last 3 events of the season. Following this up he once again competed in 2005 & as well as this raced in the Grand Nationals in South Bend, Indiana where he finished an impressive 3rd. Finishing 3rd earned Esteban the chance to race in the World Finals where due to mechanical problems he could only finish 22nd. After a busy 2005 the young Mexican had an equally exciting 2006 where he won all 5 races in the Camkart Challenge Mexico and once again raced in the Mexican Rotax Challenge and was entered into the Grand Nationals now in Zacatecas, Mexico this year. After a strong season in Formula BMW USA Gutierrez made the moved across the pond and into the Formula BMW European series. This was the first "European" series after both the British & German series merged. Once again Esteban had a strong season but even more so than last year. He moved up 1 place in the championship standings compared to his last campaign finishing 1st in the maiden Formula BMW series. Within the season the impressive rising star won the championship by 26points from Marco Wittmann, adding another 7 race wins to his collection. To make the season extra special in the last race in Mexico City Esteban finished on the podium in 3rd. For the 2009 season Esteban made another step up the series and entered the Formula 3 Euroseries with ART Grand Prix alongside - now Sahara Force India reserve driver - Jules Bianchi & - 2011 GP3 champion & Williams test driver - Valtteri Bottas. The rookie managed to finished a respectable 9th taking 2 podiums during the season. 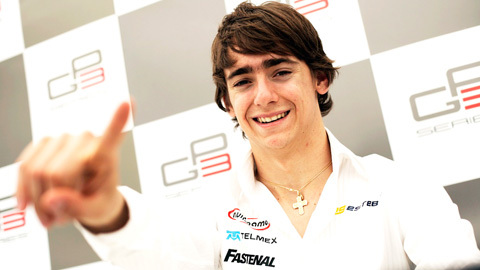 2010 saw Gutierrez enter the newly created GP3 series. 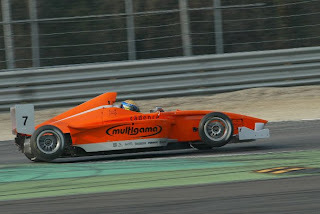 He had stayed with the same team and had faith with ART Grand Prix and was teamed with Pedro Nunes & Alexander Rossi. The faith he kept in ART Grand Prix payed of when the Mexican star took the championship with ease with 2 races to spare. This impressive display saw Esteban move up to the GP2 series in 2011 with ART Grand Prix once again and being paired up with his 2009 Formula 3 team mate Jules Bianchi. 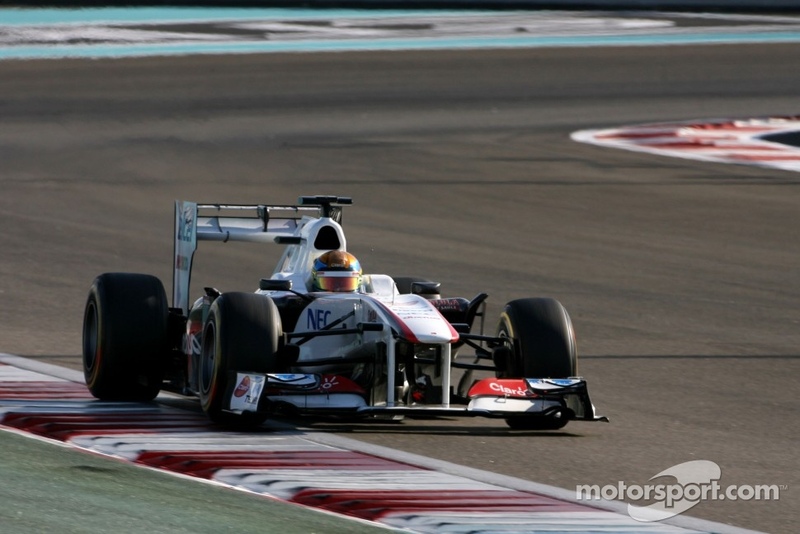 Gutierrez had an impressive rookie season showing off all his talent and came an outstanding 11th in the Asia series. He managed to pick up his first ever points in GP2 during the first race at the Valencia street circuit and his first GP2 win the day after in the sprint race. 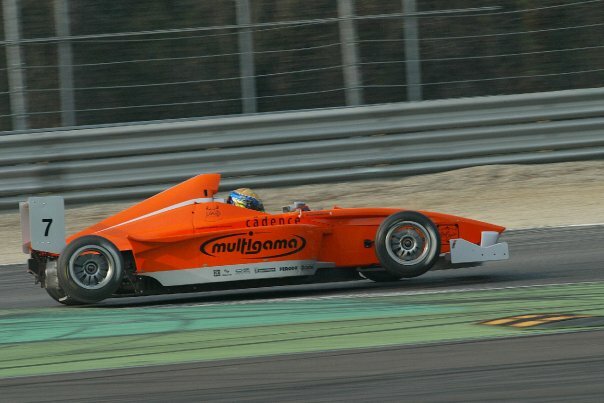 This helped Esteban finish the GP2 series in 13th in his rookies series. During 2010 Esteban was announced as Sauber F1 Team reserve driver and took part in the end of season young driver test. He finished a highly outstanding 4th with a time just 0.6s off Kamui Kobayashi's qualifying time. 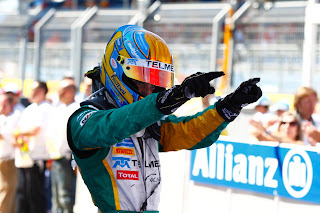 Sadly the young Mexican missed the chance to make his F1 debut in the Canadian Grand Prix. This evolved after Sergio Perez felt ill when Friday practice came to an end. This was due to his injuries from the heavy crash in Monaco qualifying the race weekend before. 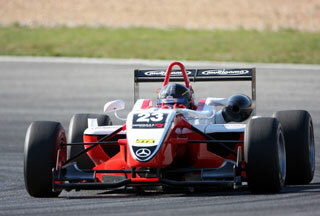 Despite that disappointment Esteban is regarded as one of the most promising rising stars at the moment. This is highlighted by the Sauber reserve driver being backed by Telmex. A Mexican communication company that is responsible for over 90% of the countries telephone lines. The company is also backing Sauber F1 Team race driver Sergio Perez and have been an instrumental factor in his rise into an F1 race seat. If you have enjoyed this review please feel free to leave a comment with your opinion on Esteban or another driver you feel is a Rising Star. Also share the same thoughts with me on Twitter via the link below.